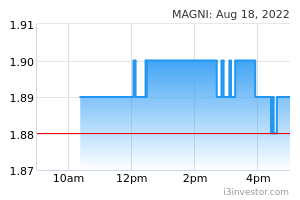 MAGNI rose 18.0 sen (+3.86%) to close at RM4.84 yesterday. Chart-wise, the share has been on a downtrend since mid-June last year. However, buyer interest resumed in early-January and brought the share to trade above all key SMAs. Yesterday share gapped up on the back of above average trading volume, coupled with a positive bias in all key SMAs have led us to believe the share could trend higher moving forward. Should buying momentum persist, we expect the share to test its resistance at RM5.05 (R1) and RM5.50 (R2) next. 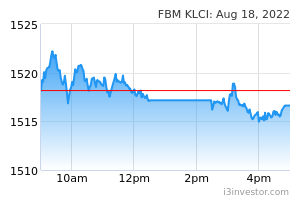 Conversely, key support level can be seen at RM4.50 (S1) and RM4.20 (S2). 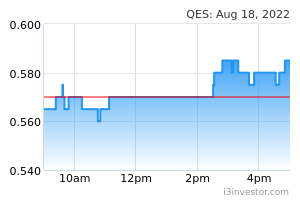 QES gained 1.0 sen (+4.08%) to close at RM0.255 yesterday on the back of stronger-than-average trading volume with 27.2m shares exchanging hand, almost doubled it 20-day average. Notably QES technical picture is now improving with price decisively breaking above the 100-day SMA. Momentum indicators appear favouring the upside as displayed by the MACD in bullish crossover and upwards trending in RSI and Stochastic. Conversely, if buying momentum sustain, expect support levels at RM0.230 (S1) support level and RM0.200 (S2).